"Pemuteran, a quiet little beach village in NW Bali, was the perfect spot for our second time diving. The diving was all very easy, and actually relaxing. A far cry from my first experience breathing underwater. Pemuteran is the perfect to spot to relax, unwind and spend as much time as possible underwater. Even if you�re not a diver, there are plenty of snorkeling spots right next to the small resorts." Pemuteran is a small town on the bay of Pemuteran, North Bali. It lies on the Bali sea, in an idyllic landscape with nine mountains. It is the largest area of shallow coral reefs in Bali. Although tourism is still relatively in its infancy here, the popularity increases, because of the excellent diving opportunities. 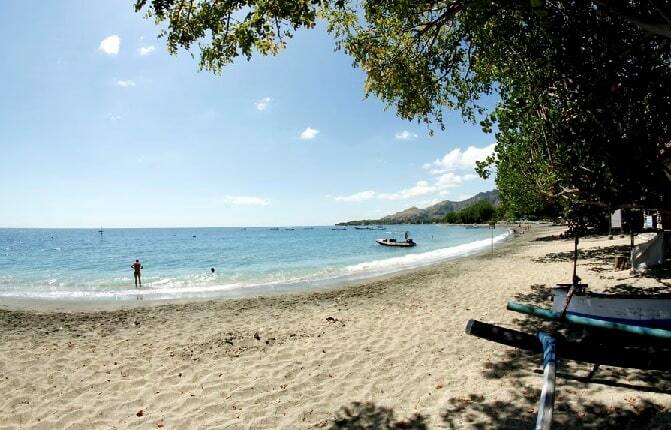 The serene beach of Pemuteran is far away from the crowds in the south of Bali. A perfect place for lovers of natural beauty and tranquility. The people in Pemuteran will not try to persuade you to buy something, when walk by their shop. They keep a civilized distance. In a small side street just off the main road in Pemuteran you can find the Pemuteran temple. Close to Pemuteran are five great Balinese temples (Pulaki Temple, Temple Pabean, Melanting Temple Kerta Kawat Temple and Hot Spring Temple), which is interesting to visit. You don't have enough time enough to visit these temples together in a single afternoon. Pemuteran beach consists mainly of volcanic sand and has a grey colour with a coral reef in front of the beach. The Menjangan island (45 minutes by boat), off the coast, is a unique place for snorkelling and diving. This is maybe the most beautiful coral reefs on Bali. The water is clear and there's a little flow. Menjangan Island is part of Bali Barat National Park (West Bali National Park). Just in front of the Selini Hotel they made a coral reef, which is managed by the locals and is sponsored by tourists (gifts), who are concerned about the coral life. The population of Pemuteran is aware of how important nature is for their children. Before 1990, most of the working people of Pemuteran were farmer or fisherman (one time they even collected aquarium fish) to earn a living. Since the revival of tourism in Pemuteran, they stopped with destroying sea life. They found work in a hotel, a homestay, restaurant or any other tourism sector. Pemuteran a great place to explore the Bali Barat National Park. 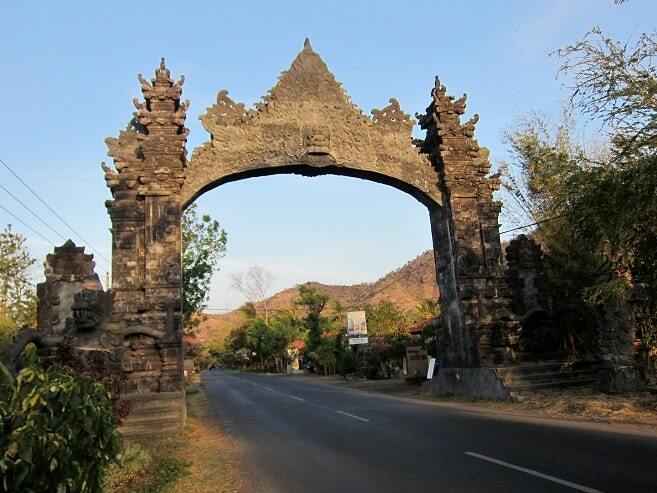 Generally Pemuteran has higher temperatures and higher humidity than the rest of Bali. The area around Pemuteran has several luxury hotels. Pemuteran has its shops and restaurants. With the cool sea breeze, relatively moderate temperatures and fairly fertile soil is the area between Pulaki and Seririt very suitable for viticulture. One of the largest wine producers in Bali, Hatten Wines, has a large vineyard here. 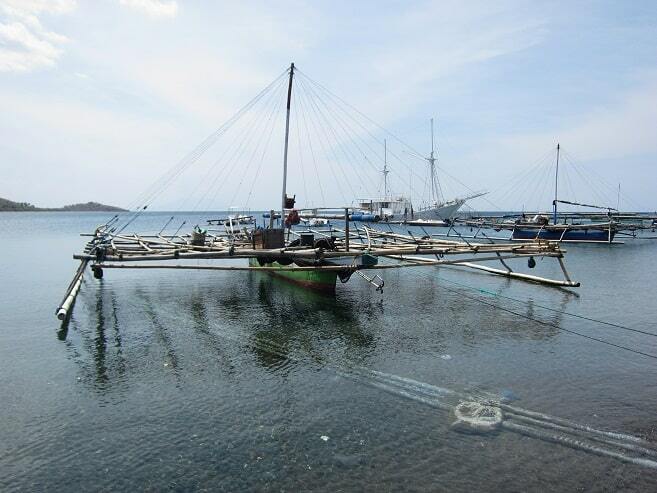 Near the fishing village of Pemuteran is the Atlas Pearl Farm. At this farm visitors can take a tour and see the oyster breeding program, the cultivation cycle and they get a demonstration of harvesting pearls. They find along the northern coast of Bali all the necessary qualities in the natural environment to cultivate the perls. These are pearls of the highest quality. This quality of these South Sea pearl is highly regarded. Atlas is known for its silver beads with a blue glow and a glossy finish with the best quality. Every day there are different tours. East of Pemutaran is the Pura Pulaki. It is very picturesque, sea temple in several terraces, which is built on a steep cliff. The high dark walls of the temple seem to form a unit with the black rock formation. The Pura Pulaki is considered to be one of the six holiest temples of Bali and is just like so many other sea temples founded by the holy priest Nirartha. It was built in honor of his daughter, who disappeared and became a goddess. The Pura Pulaki was renovated in early 1980 and is now the home of a large group of wisecracking monkeys, which guard the temple. 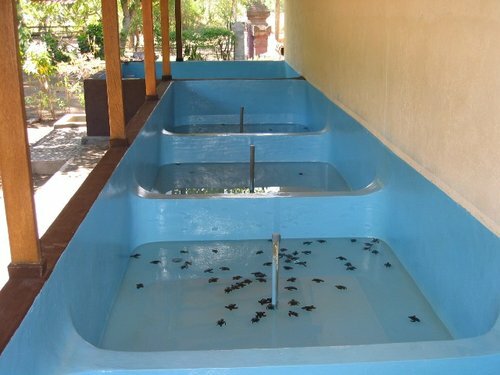 A small sea turtle rehabilitation center is located at Reef Seen Divers Resort. It is a kind of nursery. When the locals have found a nest with eggs of the turtles, the people of the hatchery buy the eggs. They bury the eggs back in the sand until the sun they hatched. The baby turtles are prepared for their return to the sea. When the young turtles are big enough, they are put back into the sea. The goal of this project is to protect the living sea turtles and to increase the growth opportunities for turtle hatchlings. Thus they encourage villagers not to kill or capture adult turtles. Probably sometimes the adult turtles will return to lay eggs again. A guided tour through the Bali Barat National Park is a special "back-to-nature" experience. The guides of the national park will take you on a journey through the regions, where the local flora and fauna can be seen in their natural habitat. The park covers 10% of the total land area of Bali. Because Bali is so densely populated, it's an intensively cultivated an island. There is very little of the forest on Bali. The Bali Barat Park is mountainous and consists of primary monsoon forest, mangrove forest, lowland rain forest, savanna, sea grass vegetation types, coral reefs, sandy beaches and both shallow and deep waters. Well-positioned in Pemuteran, Taruna Home Stay is the ideal point of departure for your excursions in Bali. Only 50. Km from the city center, the hotel's strategic location ensures that guests can quickly and easily reach many local points of interest. With its convenient location, the hotel offers easy access to the city's must-see destinations. The facilities and services provided by Taruna Home Stay ensure a pleasant stay for guests. Free Wi-Fi in all rooms, daily housekeeping, fireplace, postal service, luggage storage are just a few of the facilities that set Taruna Home Stay apart from other hotels in the city. Hotel accommodations have been carefully appointed to the highest degree of comfort and convenience. In some of the rooms, guests can find television LCD/plasma screen, internet access � wireless, internet access � wireless (complimentary), non smoking rooms, air conditioning. Besides, the hotel's host of recreational offerings ensures you have plenty to do during your stay. Discover an engaging blend of professional service and a wide array of features at Taruna Home Stay.